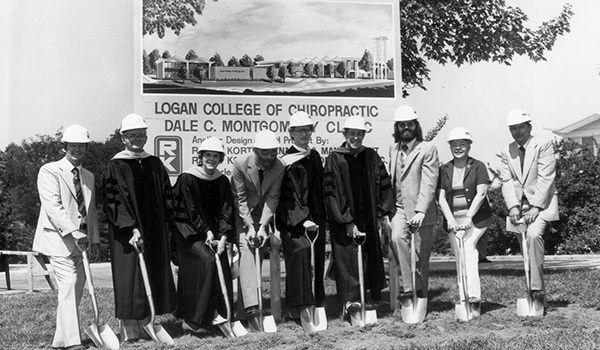 Since 1935, Logan has remained grounded in chiropractic education, while continuously enriching academic options with degree offerings in health sciences. Logan graduates employ a holistic approach to health and wellness to meet the demand for less-invasive, lower-cost treatments and comprehensive care and lead the integrated health care industry. Through an innovative, outcome-based academic curriculum that emphasizes evidence-informed care, diverse clinical immersion opportunities, emerging technology and proved practices, Logan University graduates are trained, confident and prepared for the future. •	Located on 112 acres in Chesterfield, Mo. 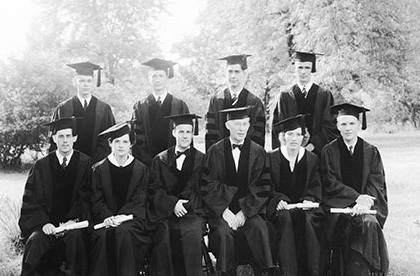 On September 1, 1935, Logan College of Chiropractic Inc. is founded with an initial enrollment of seven students. Dr. H.B. Logan (pictured above) serves as the College’s first president until 1944. 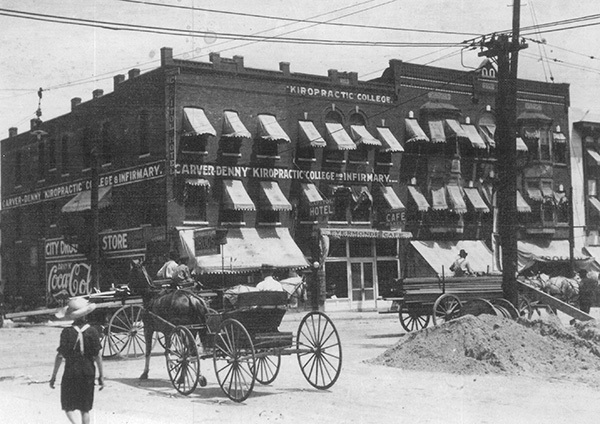 The College's original location was at 4490 Lindell Boulevard in St. Louis’ Central West End. 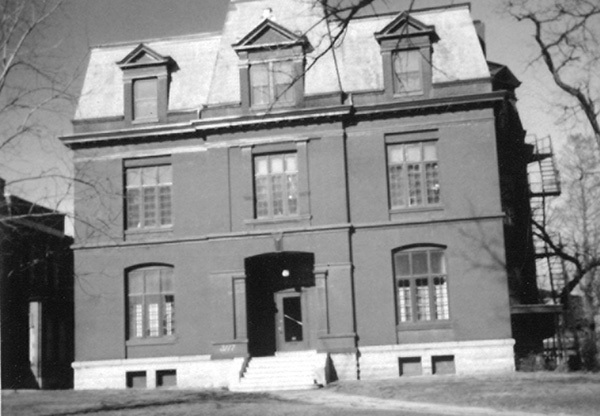 By October 1936, Logan had outgrown the Lindell campus and moves to a 17-acre estate on November 6 at 7701 Florissant Road in Normandy, Mo. Drs. H.B. and Vinton Logan (front row center) pose with Logan’s first graduating class of eight on Logan’s Normandy campus in north St. Louis County. 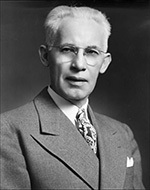 In 1944, Dr. H. B. Logan passes away suddenly and his son, Dr. Vinton F. Logan (pictured above), becomes the College’s second president. Under Dr. Vinton’s presidency, a planned group of modern structures for use as clinician buildings were added to the campus. Carver College of Chiropractic of Oklahoma City (pictured above) merges with Logan Basic College of Chiropractic. Dr. Willard Carver, one of the great pioneers of the chiropractic profession, had founded Carver College of Chiropractic in 1906. 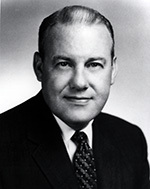 In July 1961, Dr. Vinton Logan passes away and Dr. William Coggins (pictured above), previously Logan’s Dean, becomes the College’s third President. 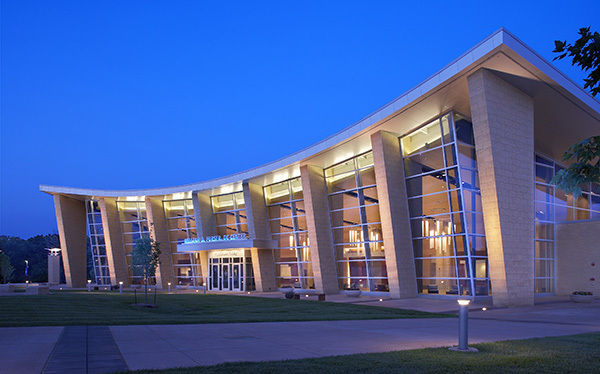 Missouri Chiropractic College (pictured above) merges with Logan Basic College of Chiropractic. The merged schools become known as Logan College of Chiropractic. In anticipation of future growth, Logan’s administration and Board of Trustees began to evaluate the adequacy of the College campus and the decision was made to search for a new campus site. In 1972, Logan acquired the buildings and grounds of the former Maryknoll Junior Seminary. The 112-acre campus in Chesterfield, Mo., was purchased for $1.8 million. In June 1973, Logan moves to the current campus in Chesterfield, Mo., a western suburb of St. Louis. After nearly 40 years of association with Logan, President Dr. William Coggins announces his retirement. The Board of Trustees select Dr. M.T. Morter to serve as president. 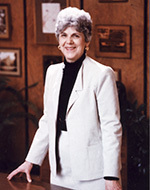 Dr. Beatrice Hagen begins her presidency on December 6, 1980 and serves through 1992. In June, the Montgomery Health Center opens on the Logan campus. 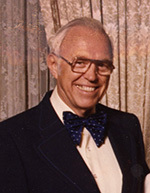 The clinic is named for Logan’s first Chief of Staff, longtime anatomy instructor and alumnus Dr. Dale C. Montgomery. In June 1986, groundbreaking begins for a second building on the campus, the Science and Research Center. The 30,000-square foot building opens in October 1987. 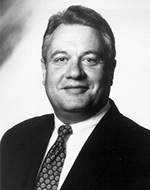 Dr. George A. Goodman, a 1968 Logan graduate, becomes the College’s sixth president in January. Dr. Goodman had more than 20 years of experience as a Doctor of Chiropractic and educator and had been Logan’s Vice President of Chiropractic Affairs since 1982. Dr. Goodman will continue to serve Logan for an additional 20 years as President. In June, Logan pays off its debt on the Science and Research Center and once again becomes debt-free. 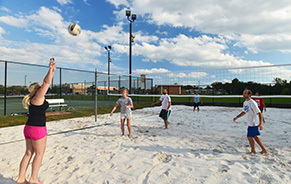 In October, the William D. Harris, DC Sports and Wellness Center opens on campus. 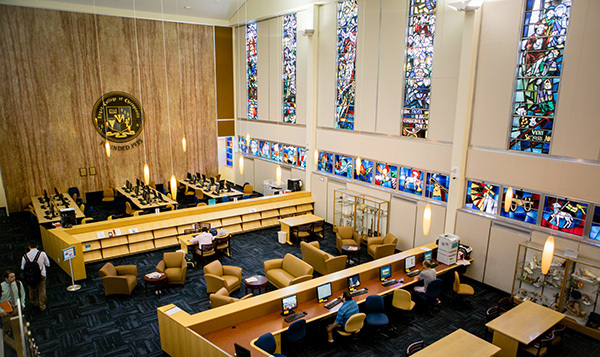 In April, the newly renovated Learning Resources Center (LRC) opens. The renovation of the former Maryknoll chapel transforms the library into a modern learning facility while retaining its visually striking historical elements. In April 2007, the 47,000-square foot William D. Purser DC Center opens. This was the largest capital improvement project in this history of Logan at $22.7 million. The project also includes the construction of a second campus entrance and a new central plaza area with a fountain. The Purser Center hosts a variety of events including Logan graduations. In November 2007, the campus’ old gymnasium is demolished in order to build the Standard Process® Student Center. The $3.6 million, privately-funded project is completed in June 2008. 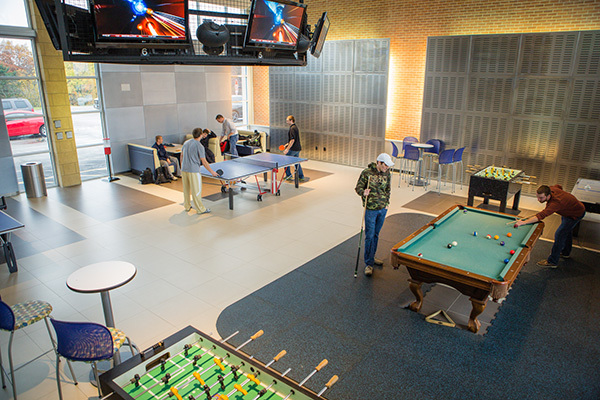 The 6,500-square foot facility includes a student center with both recreation and relaxation areas, Student Affairs offices, meeting rooms and Charlie’s Grab n’ Go. Logan celebrates its 75th Anniversary and breaks ground in November 2010 for a new $4.9 million, three-story Educational Wing. 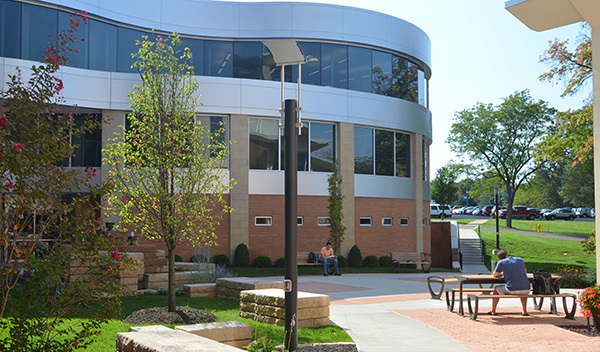 The new 13,000-square foot addition to the Administration Center houses the Assessment Center, Admissions and Financial Aid departments and a 133-seat classroom. 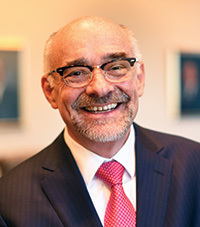 On June 14, 2013, Clay McDonald, DC, MBA, JD, a 1982 Logan alumnus, is inaugurated as the seventh President of Logan University. During his inaugural remarks, Dr. McDonald spoke of his vision to position Logan and its graduates at the forefront of integrated health care. Logan introduces two new online programs, the Doctorate of Health Professions Education and Master of Science in Health Informatics, and gains accreditation from the Higher Learning Commission. 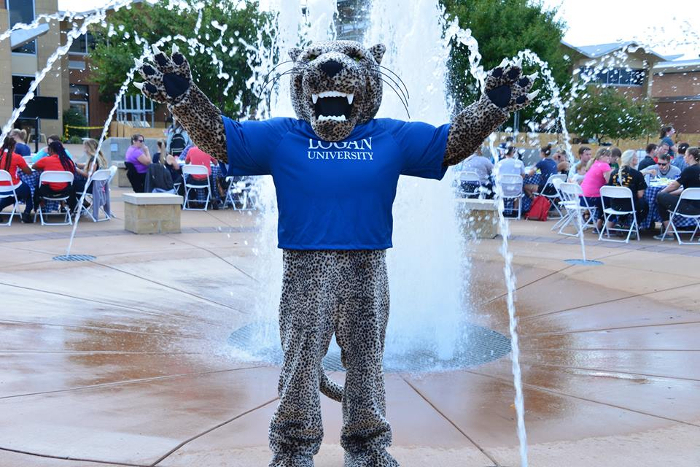 Logan the Leopard, the new face of the Logan community, was introduced at the University's inaugural Founder's Day event. Leaders Made, a platform to share how Logan is providing students superior training, giving them confidence to be the health care leaders of tomorrow, debuts. Sharing the strategic plan of Logan University's future. Click here to read Logan 2025. Logan's mission, vision and core values serve as a benchmark for measuring our commitment to excellence through quality educational programs, outstanding faculty scholarship and service to the community and the profession. Mission: Logan University is a diverse and engaging community committed to excellence in health sciences, education and service, guided by integrity, commitment and passion. Vision: Logan University will be recognized nationally as a community of lifelong learners inspired to lead a life of significance. Logan empowers all community members and holds each accountable. Logan strives to maximize performance in others and ourselves. Logan is agile and innovative. Logan acts with respect, compassion and integrity. 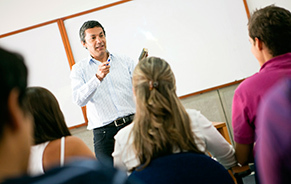 Logan promotes evidence-informed, learning-centered communities. Logan seeks and supports diversity in people, programs and ideas. Logan provides service to the University and to the local, state, national and international communities. Mission: Logan College of Chiropractic prepares students to become Doctors of Chiropractic who are superbly educated and clinically competent practicing portal-of-entry chiropractic physicians. Vision: Logan College of Chiropractic will be the premier Chiropractic College. 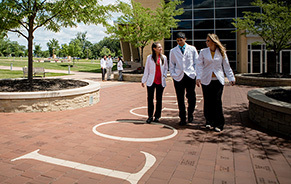 Mission: The Logan College of Health Sciences is committed to excellence in health care education and preparing students to become leaders in their professions in integrative health care. Vision: The Logan College of Health Sciences is committed to be leaders in health care education, to make a difference in the lives of our students, their careers and the health of future patients; to continuously seek to improve existing programs and identify, design and implement additional complementary programs.